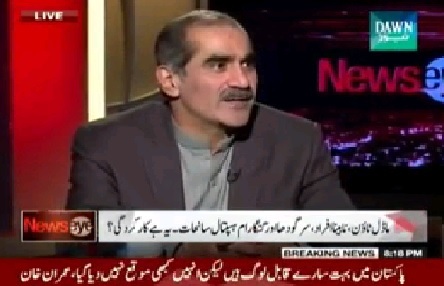 Khawaja Saad Rafique is a Pakistani politician, and a conservative activist who was tenuring as the Minister for Railways, appointed since 7 June 2013. He started his political career on the PML(N)'s platform in 1980s. In addition, he is also the provincial general secretary of the party since 2002. 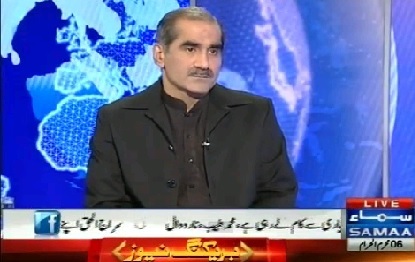 Rafique was born into a politically oriented family in Lahore, Punjab, Pakistan, on 4 November 1962. He is of Kashmiri–Punjabi descent. His father, Khawaja Muhammad Rafique, was also a mainstream politician of Muslim League, and an activist of the Pakistan Movement in 1940s. Muhammad Rafique participated well on Pakistan Muslim League platform during the general elections held in 1970. Over the years, Muhammad Rafique became a great critique of the Prime Minister Zulfikar Ali Bhutto's left-wing policies. He brought a great condemnation of Prime Minister Bhutto's strategies and alliances. In 1972, his father was assassinated while leading a PML rally in Lahore. On annual basis, a commemorative seminars are held by the PML(N) in Lahore to highlight the services of Muhammad Rafique. After matriculating from a local high school, Rafique enrolled at the M.A.O College and made a transfer to Punjab University in 1982. He graduated with an BA in Political science in 1984, and later attained MA in Political science in 1986. His master's work was primary based on the comparative politics. In 1989, Rafique began to built political relationship with the PML-N due to similar ideology, and worked on party's national conservative programme. In 1997, he participated well in the general elections on a PML(N)'s ticket for NA-119 constituency and became member of Punjab Assembly. During this time, he was appointed as Special Assistant to Prime Minister for Youth Affairs by Prime Minister Nawaz Sharif, but his tenure was terminated by General Pervez Musharraf after the latter self-coup in 1999. He was eventually arrested and imprisoned after calling for Musharraf's removal. In 2000, he began his political activism on PML(N) platform and successfully ran for NA-119 constituency in the general elections held in 2002. During this time, he was appointed provincial general secretary of the party. From 2002–07, he worked on party's mainstream conservative programme and the public image of the party. Among PML-N's central leaders, Saad is one of the few activist who kept the party alive during the Musharraf regime. In 2008, Rafique was allotted a party's ticket for NA-125 constituency and successfully ran for NA-125 against Humayun Akhtar Khan in the general elections held in 2008. He briefly tenured as Minister of Culture and Youth Affairs in Prime Minister Yousaf Raza Gillani's cabinet but resigned after PML-N's went onto lead the Lawyer's movement to restore the judiciary. 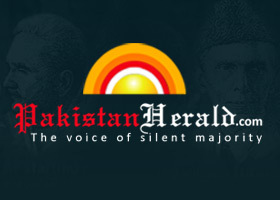 In May 2009, Rafique became a staunch critic of Prime Minister Yousaf Raza Gillani and his government over its strategy on Swat, blaming the military and Gillani's ministry for the "mess" that had been created in Khyber-Pakhtunkhwa province. In his condemnation of the government over the matter, he also termed the session of the National Assembly a "debating club" where people only came to polish their public speaking skills and that decisions were being made elsewhere. 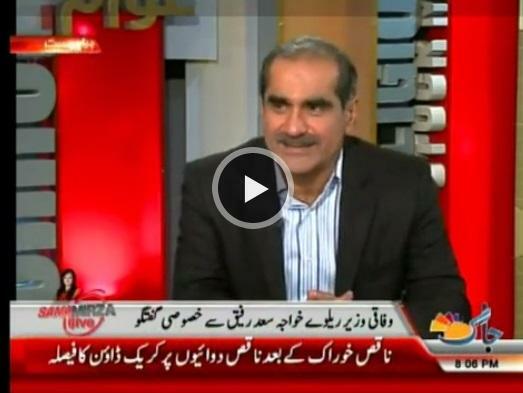 In 2013, Saad Rafique and his wife, Ghazala Saad, were allotted PML-N's ticket. During the general elections held in 2013, Saad Rafique successfully defended his NA-125 constituency against leftist PPP and the PTI. 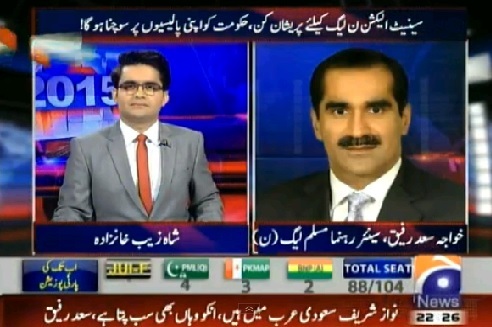 Saad Rafique secured ~123,416 votes with a percentile of 51.90%. On 7 June 2013, Saad Rafique was appointed as Minister of Railway by the Prime Minister Nawaz Sharif and took oath on 8 June 2013. Upon becoming Minister of Railway, Saad Rafique announced the implementation of modernization of the Pakistan Railways, and to bring it up to the par to the international standards. 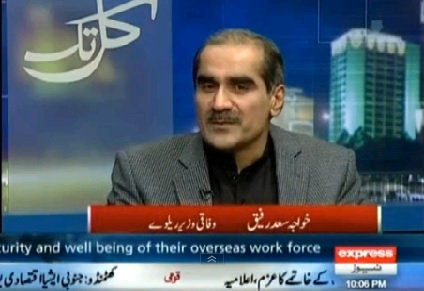 In 2014, Saad Rafique visited the Lahore University of Management Sciences' Suleman Dawood School of Business (SDSB) where he delivered a lectures on business leadership in locomotive industry. At LUMS, he announced that the SDSB's faculty are currently working with him to improve organizational efficiency and the infrastructure of Pakistan Railways. Respected Minister sahab, Kudos to you and your team for the revival of Pakistan railways. May Allah bless you for your hard work and dedication. Its a pleasure to travel between Islamabad and Lahore on the Margalla Express. I love traveling by train and its a sheer joy to view the beautiful landscape from the eyes and courtesy of Pak Railways. The chugging sound of a train is so nostalgic. I read the great news in today's newspaper that a non-stop train would start running between Islamabad and Karachi from May 2015. Bravo. Please keep it up. Actually instead of roads, development of rail should have been preferred which is economical and environmental friendly. 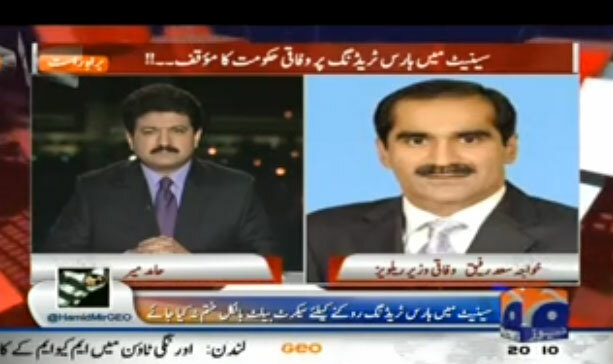 Khawaja Saad Rafique sahab railway ko agr ap jaisa dyanat dar our sacha minister na milta to pata nahi railway ka kya hal hota,lekin muje herat he k baaz jago par ap log twajja nahi detay halankay wo tawajja k qabil hotay hay.Locomotive factory Risalpur me garib mulazimin k sath jo zulam ho raha he zara un par tawaja day Allah k wastay.Chand magarmacho ne poory factory ko yargamal banaya he.Jin ko wo chahay Quarter de day aur jis ko chahay nikal day apni zatyat ki waja se.Allah k wastay mery pukar ko sunay aur in logo ka ya masla hal karay. We as a nation are proud of your hard work to restore the Railway stem back on track in Pakistan. Keep it like that , GOD is always with you.Is it possible for you to convince Mian Nawaz Sharfi not to sell PIA , and you come forward and restore the PIA also . Pl reply me if you read my message. u r a nice and brave person. I salute ur loyalty with PML-N. God bless u. You are a great speaker and a great person, you are once of the finest politicions of all times. you have faced the strongest oppositions but stood straight and steady. i salute people like you. You are truly the backbone of PML-N and Pakistan's politics..
Senate Main Horse Trading Per Wafaqi Hukumat Ka Mauqif..?? PML-N ready to resume dialogue with PTI?? One more Imran Khan's rally: What would be the Plan 'C'?? 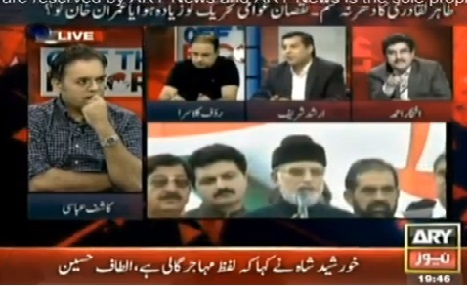 Dr. Tahir-ul-Qadri returned back without revolution!! What is the future of freedom and revolution march?? NO ONE IS SERIOUS ABOUT PAKISTAN WELFARE OVER THEIR OWN POLICITICAL EMBITIONS. Topic: Special episode with street Childrens. i hope your tears r real, i m sure they r real but still u r a politician. please visit this center more often and keep these kids in your thoughts while you enjoying with your children,they deserve everything what your kids have. 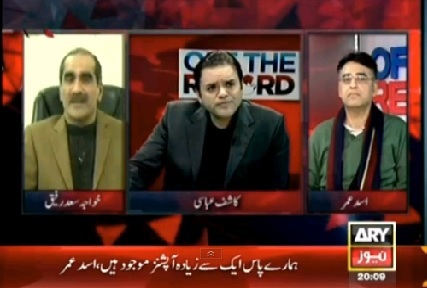 Topic: Issue of Pervez Musharraf. 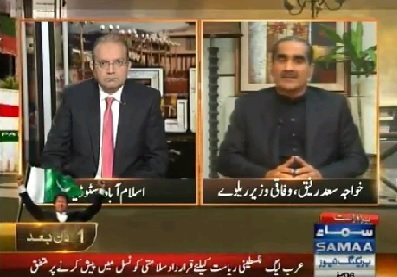 I like mr khawaja Rafique,s personality,bold and clear speaking person. 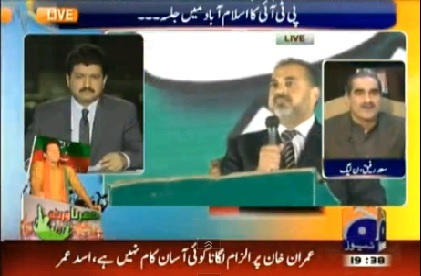 I have watched you on the other channel KAL TAK in which you were criticizing the media baseless. I was thinking the PML(N) as a fair dealing party with media and I have been the supporter of (PML(N). Now, you have disappointed me in this matter. 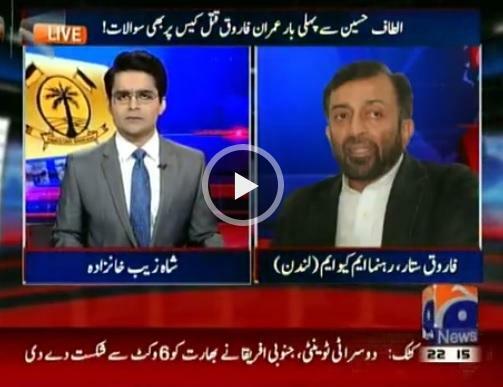 Topic: Effects on Pakistani Politics after SC Verdict.